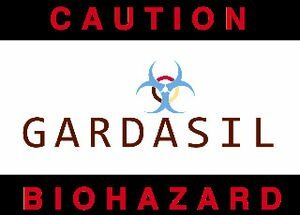 What all this means is that through Gardasil vaccines, innocent young girls are being injected with the recombinant DNA of HPV, and that this biohazardous substance persists in their blood. The implications of this are rather scary, as Dr. Lee explains:The vaccine industry, of course, has a long and dark history of its vaccines being contaminated with cancer-causing viruses and other frightening contaminants. Watch the astounding video of Merck scientist Dr. Hilleman openly admitting that polio vaccines were widely contaminated with SV40 viruses that cause cancer. It’s called “Merck vaccine scientist admits presence of SV40 and AIDS in vaccines – Dr. Maurice Hilleman” and was partially narrated by Dr. Len Horowitz. You can view the full transcript of this extraordinary interview here. 47 girls have died so far after receiving HPV vaccinations, and some 12,000 others have been adversely affected according to reports. 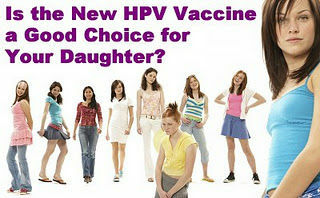 Yet, the HPV vaccines, Gardasil (and Cervarix abroad), has not been proven to prevent cervical cancer. Crazy? It gets worse. Despite the FDA’s own research, Gardasil shots are being mandated by more and more goverment agencies as a requirement for young girls to enter 6th grade. How many more will be forced to suffer, or die, before this is stopped? Thank you To SL for sharing the article with us @ ZEROVAXX!